Note: This post has been edited to reflect management responses in relation to some of the issues we had during our meal. 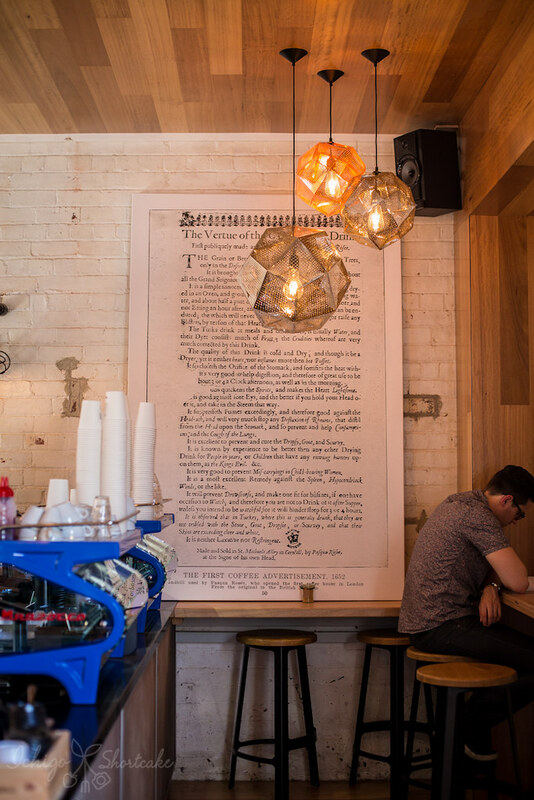 Tucked away behind a Coles petrol station off the corner of Lygon Street and Elgin Street is new cafe The Vertue of the Coffee Drink. 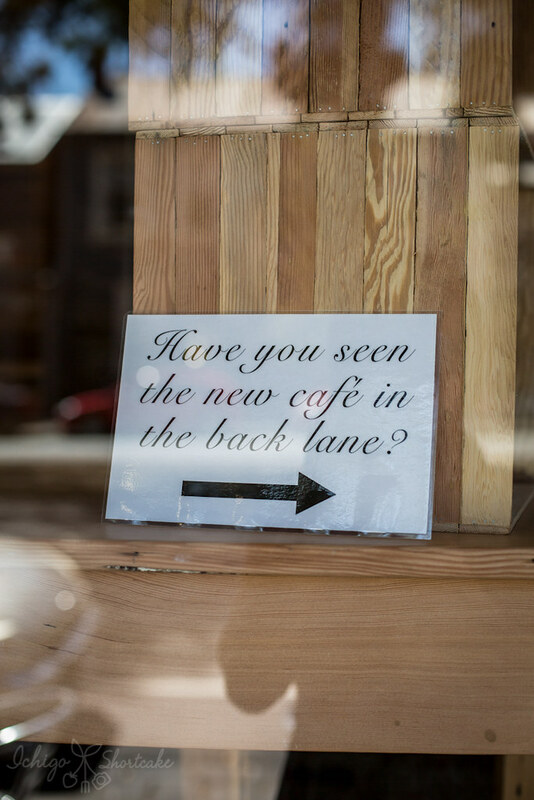 Following signs on the main street, we managed to find the cafe without problem but if you didn’t know it was there in the first place, I’m sure it’ll be easily missed. 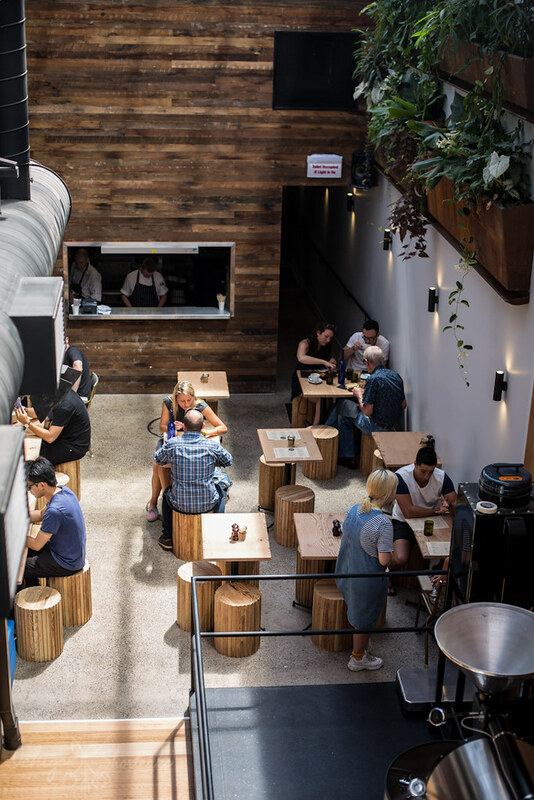 Decked out in modern grungy and chic decor by the guys at Two Design, this hidden cafe boasts something that you might drop your jaws to and letting out a gasp of ‘wow’. 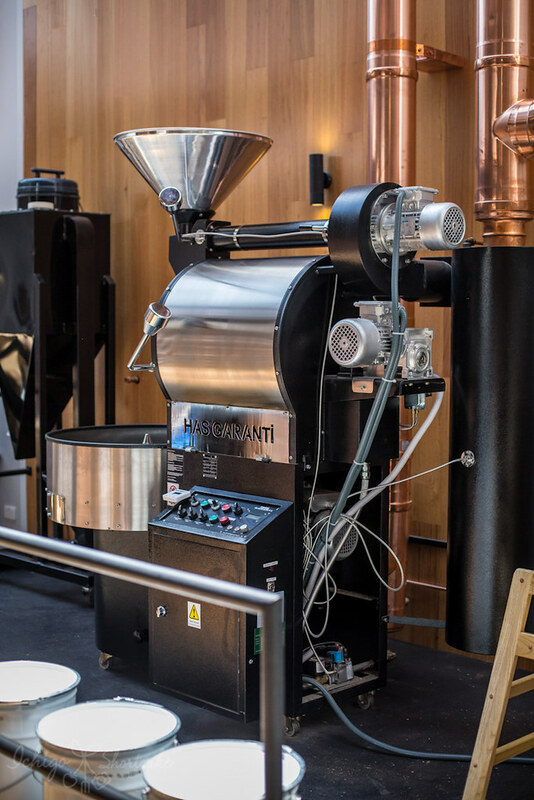 It’s not just a cafe, it also has its own roastery so you can be sure the coffees here are good and the beans are fresh. We had high expectations of this seemingly great cafe and I thought I had found a hidden gem but unfortunately the food didn’t live up to our standards. 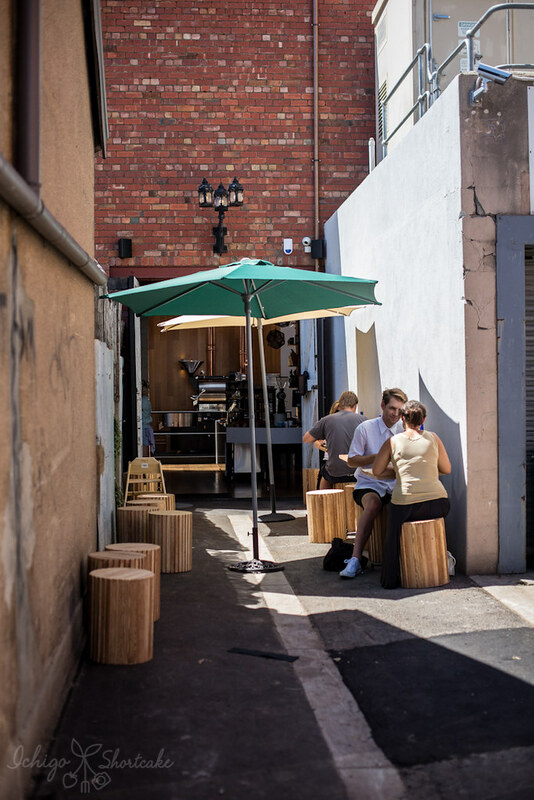 With so many good cafes and restaurants nearby, the crowd would be hard to please, however, in light of the management’s timely response, I note that as we had dined here shortly after they opened, the team at Vertue were still trying to find their feet and have since made amendments to their menu and other elements of their operations which may have made the experience better. When we sat down, we were alerted to the ‘we’re out of…’ list from the already quite small menu and at 12pm it was a bit of a worry. 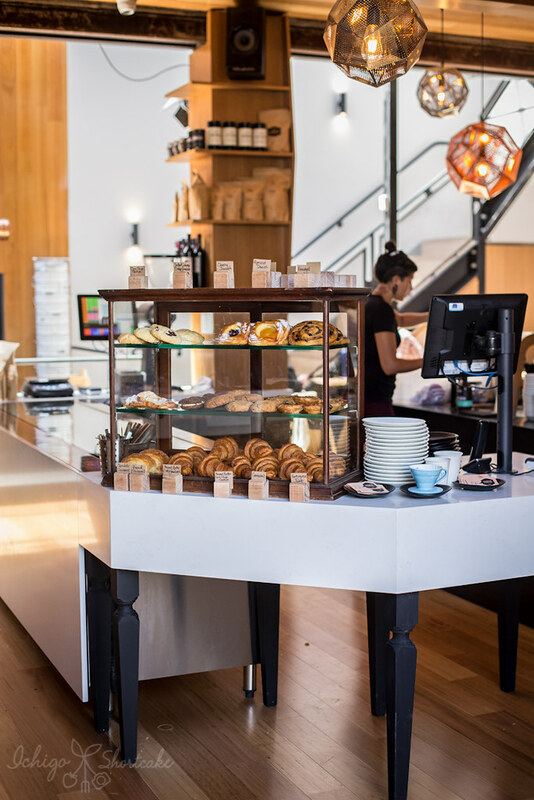 However, as the management pointed out, it was due to the overwhelming patronage that they did not expect and as a new cafe, it’s always difficult to predict just how much they will sell and thus need to prepare. They have now improved their operations and shortages of ingredients like what we had (duck egg from the ocean trout dish and quail egg from the terrine dish) should not happen again. 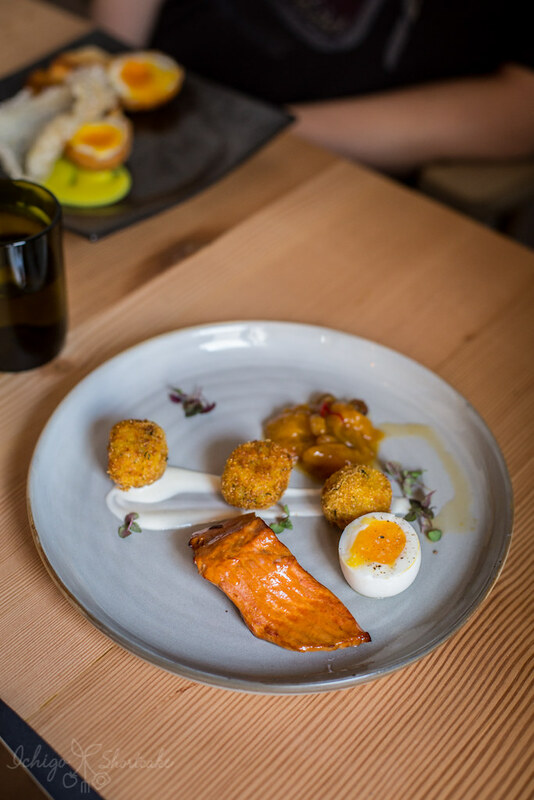 For $21, our smoked ocean trout, curried arancini, soft duck egg (in our case, chicken egg), mango and chilli jam was a lot less than substantial. We had hoped for a biggish slab of smoked trout like the size we had at Top Paddock which wasn’t the case. It also came with half an egg rather than a whole one where many places actually give you two eggs. The taste was just average as well. The trout was smoked but unsalted and Yuye had to dunk it in salt himself. The jam was a bit sweet for my liking but otherwise the rest of the dish wasn’t too bad. The idea is good but execution needs more work and definitely need bigger portions. 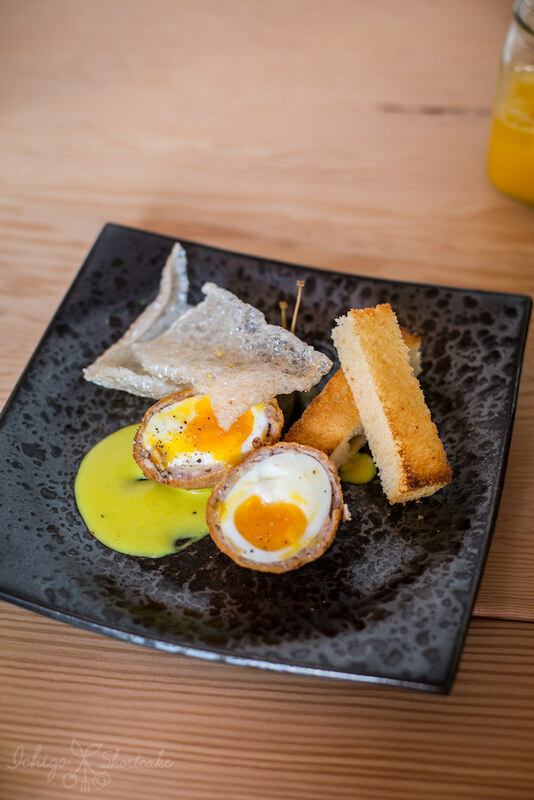 After reviewing customers’ responses, the management at Vertue has now revised their dishes and improved on the initial lacking factors, this includes the portion sizes. I have not been back since this review so I cannot comment on it, but judging from new diners’ photos, it does indeed seem to be the case. Kudos to the management for listening! Even more underwhelming was the Scotch eggs with piccalilli mayonnaise, onion marmalade, crispy pig skin and brioche soldiers also for $21. What we got was not eggs but one egg cut in half. The brioche soldiers were harder than regular brioche that we’re used to so originally we didn’t think they were even brioche. The management confirmed that they are what they are intended to be, just firmer due to plating requirements. We expected actual crispy pork skin but it turned out to be the dehydrated type, almost like prawn crackers. I’ve had these before and was never a fan as I find them too dry and doesn’t have much flavour, but I do commend the team for taking the effort to make such a time consuming ingredient (dehydrated for 12 hours and then fried). Overall, we didn’t find this dish value for money and was no where near enough for an adult meal. Being the blogger of the group, I had to apologise to my diner friends for picking this cafe and that is enough said. After the meal though it seems the team at Vertue has revised the menu and has changed the portion sizes of the dishes. This is reflected in a lot of newer photos by diners and by management. 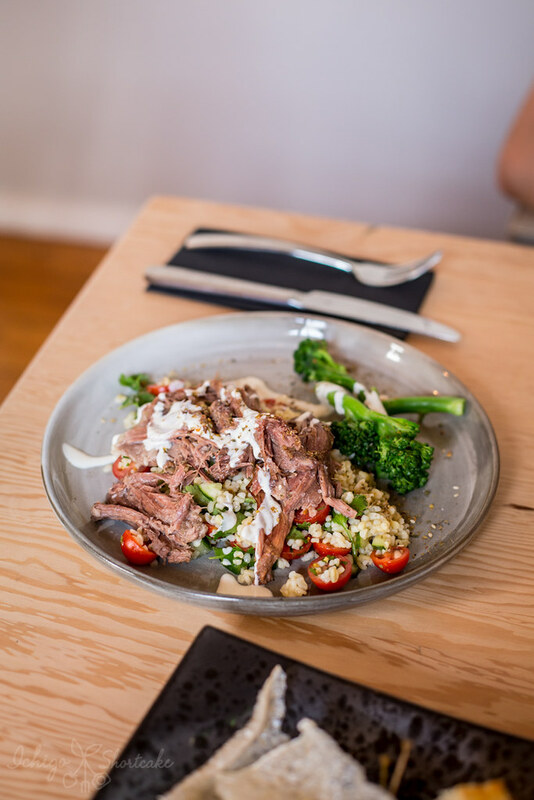 Another friend ordered the best dish that day and it was the eight hour lamb shoulder with tabbouleh, baby broccoli, dukkah and tahini for $22. It was a bit more substantial than the other dishes and was well seasoned. The lamb fell apart in my mouth and I enjoyed the different flavours and textures. As mentioned above, coffees here were good. 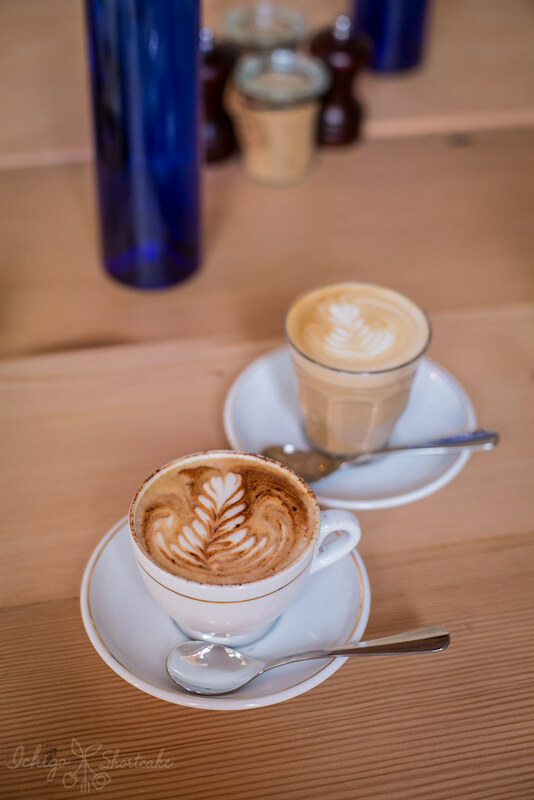 The latte and cappuccino we ordered were smooth and aromatic, a quality to be expected from a cafe with its own roastery. 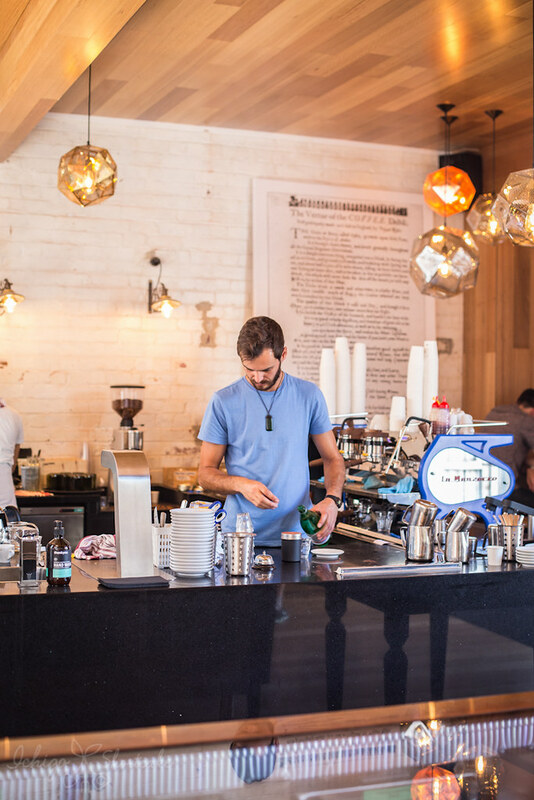 If you want to enjoy a cup of coffee surrounded by light filled industrial decor then The Vertue of the Coffee Drink is a good choice. As we visited the cafe not long after they opened their doors, there were various issues with the menu and we didn’t enjoy our meal. However, the management did point out that at the time, there were issues with predicting patronage amongst other problems. They have since reviewed and changed the menu items as well as their processes. I’m sure if we revisited, our experience wouldn’t be the same. Take this review with a grain of salt and try it our for yourself. If I manage to find myself there again, I will do an updated post, in the mean time I can say that I still love their decor which I think is one of the best in the industry, the coffees were great and food may have improved, I will find out soon enough.